What is a Co-op? We have set up several central delivery locations within a 40 mile radius of Woodstock, GA. You place your order online and prepay with a credit card. We bring your order to the location on a preset delivery day and time. All items are made fresh to order. There is no cost to join. Choose a delivery location nearest you and set up an account. 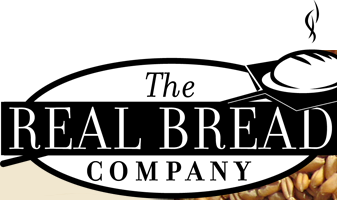 Place your order online (www.realbreadcompany.com) and prepay with a credit card by 10 am the day before your delivery day. Weekly and every other week orders will be standing orders. Real Bread Company will send a reminder email on Saturday before that week’s delivery. You will have until 10 am the day before delivery to either cancel your order or make changes to your order. Not a Co-op near you? – Host one! All you need to set up a Co-op delivery location is agree to be the host, secure an approved drop off location, and a minimum of 5 orders for that location. Outside of 40 miles check out bulk order shipping options. Want Real Bread delivered to your home or office? Then get your neighborhood or business within 40 miles of Woodstock, GA involved. Get 5 neighbors or coworkers to place orders and we will deliver to the individual homes or office.